Last September I (and friend) visited the ‘Houghton Revisited’ exhibition at Houghton Hall in Norfolk. 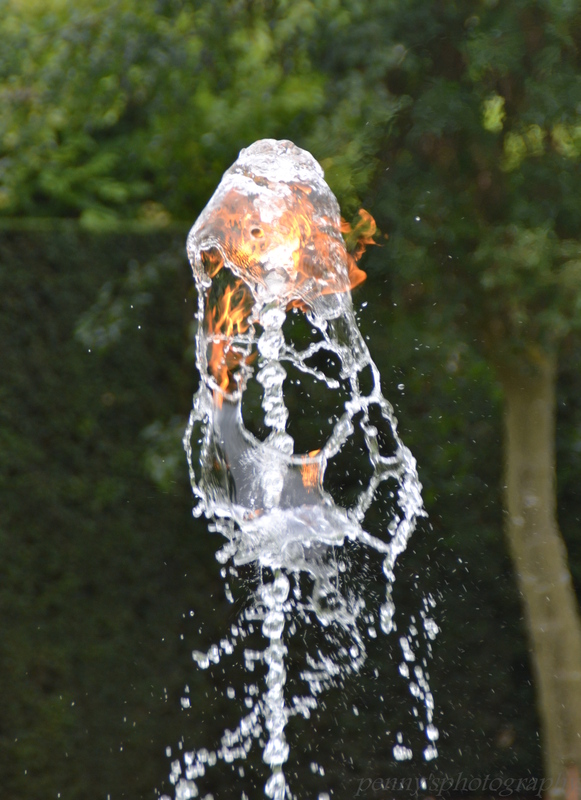 As we walked around the Sculpture Park in the grounds afterwards we were intrigued, along with many others, by this ‘Fire and Water’ piece. The flame appeared to burn at the top of a jet of water and there was much discussion amongst the people standing around it as to how it worked. 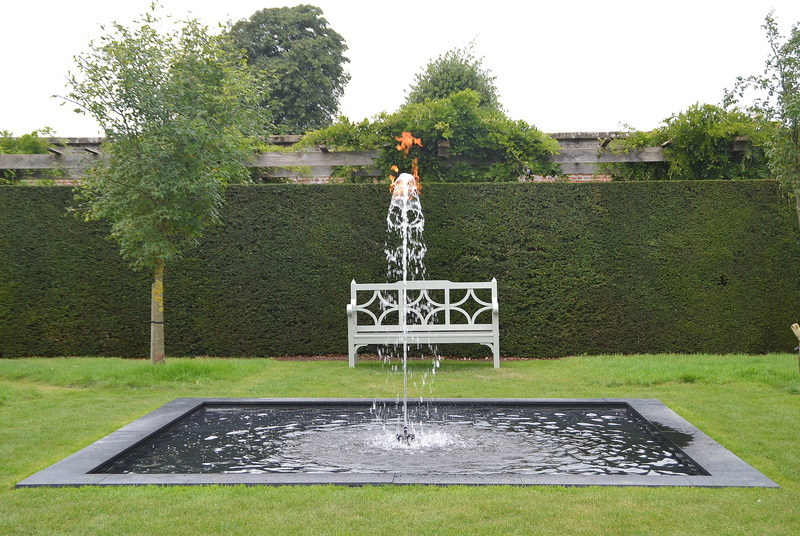 At one point the flame went out and the water jet dropped to the pool below, giving us a chance to watch the gas jet reignite at the bottom followed by the water jet which carried the flame to the top with the gas rising inside the fountain. Very clever and quite mesmerising! I LOVE this fountain. I could have sat and watched it forever when we went. Thank you for reminding me of it. No problem – it had stuck in my mind too so I brought it out from my photo archive as it seemed a slightly different take on the current challenge. Friend was quite taken with the slate moon too! Thanks for the pingbacks -very much appreciated, and it’s brought me to explore your blog – always a bonus! I love this picture, made me think for a while before I read your description of how it works. Wish I could see it with my own eyes one day. Thank you for widening my world! It was certainly intriguing! We stood and watched for quite a while until it stopped and restarted – then we could see how!